Len Snart began his criminal career by concocting a ray gun designed to interfere with The Flash’s superspeed. Instead, the weapon became irradiated accidentally, its emissions instantly freezing moisture in the air. Thus armed with his new cold-gun, Snart adopted the stylized parka of Captain Cold, a supervillain specializing in thefts and freezing solid any would-be pursuers, including the Scarlet Speedster. The sculpt is very good and made up of a lot of original parts that we have not seen before on any other figure from the DC Universe Classics series. This is due because of his costume and it works. I love the folds of the clothing and the fur accents around his parka. Yeah it also has the Snart’s trademark sneer. Witch is great when your a fan of Captain Cold like myself. He comes with his cold gun. 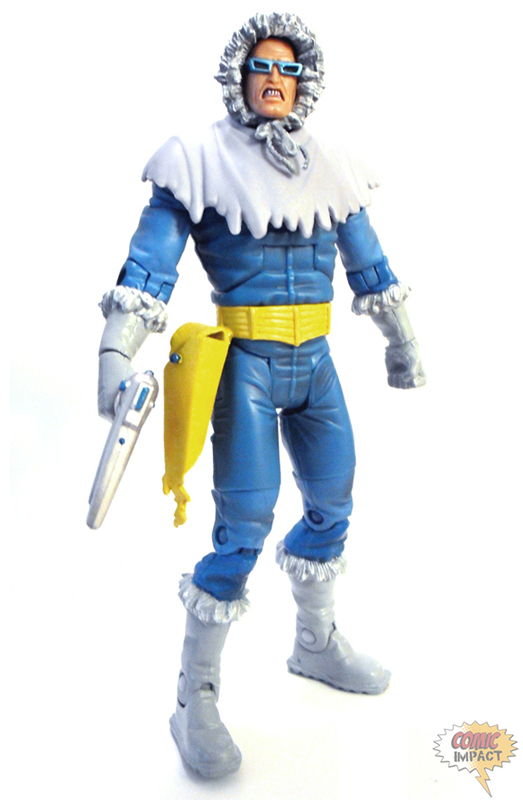 This figure has standard articulation for a DC Universe Classics such as ball joints at the shoulders and neck, swivels at the biceps, waist, wrists and thighs, and hinges at the elbows, torso, knees and ankles so The balance is GREAT however Captain Cold does not have a lot of great dynamic poses. The DC Universe Captain Cold Figure is a must have if you are a fan of the DCUC or just The Flash. Now I just wish that Mattel would make the rest of the Rogues. How sweet would it be to have a Heat Wave figure!